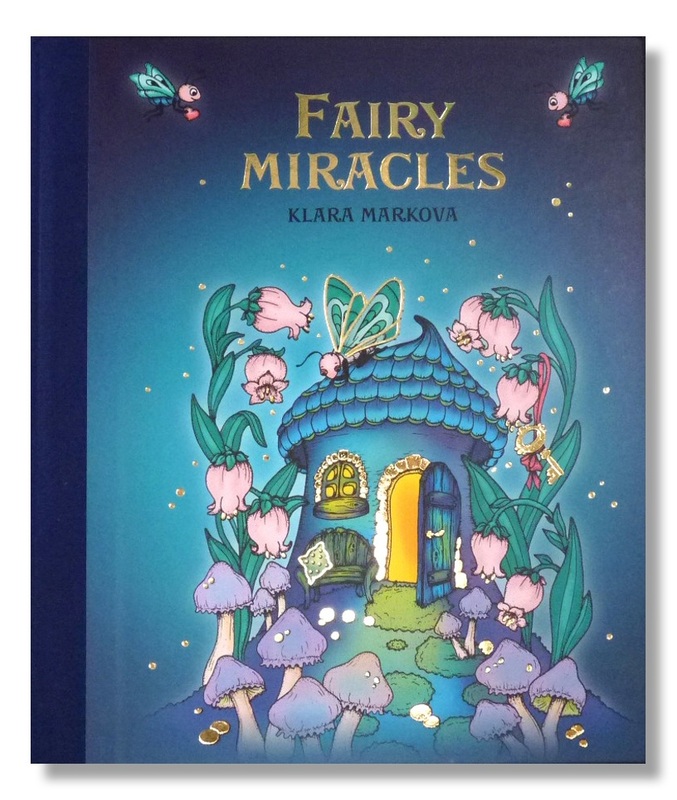 A lovely Czech adult colouring book hides a lot of original handmade illustrations inside which are connected by a thin and glittering thread of a tender story.. The main pictures to be coloured in are just on one side so you can use colour pencils and blend them happily as well as felt tip pens, liners or paints. You don´t have to worry about soaking through on the other side.. There is the main picture on one side and on the other side a small space is left decorated with little drawings where you can write: With what, When and Who painted the picture.. it also provides enough space for writing a short story or something like a story diary..i.e. What came on your mind while painting and where it "took" you.. The book was made with huge love and a feeling for detail.. It is a lovely luxurious present for a tender and creative soul.. The book is bound with gold tooling on its front and back cover and spine. The paper is high quality in fine natural tone, creamy. 112 pages including a spread with opening doors. Opening doors to little houses 2x.